This restaurant offers a great variety of foods; it offers veggies, meat, and organic foods. This place offers great services marked by the staff’s friendliness. Given the foods it offers—coffee and others—the place is great for breakfast. It is just a perfect spot to start your day. Not only do you get delicious foods, you also get fresh dishes at an affordable price. This makes this place a must for many travelers. The menu comprises coffee, bread, veggies, various kinds of smoothies, and much more. The restaurant looks attractive; it is one of the best restaurants offering great fun for kids. So, if you have kids, you need to take them with you. They will love the playground while you are seated and treated by some of the best staffs in the area. 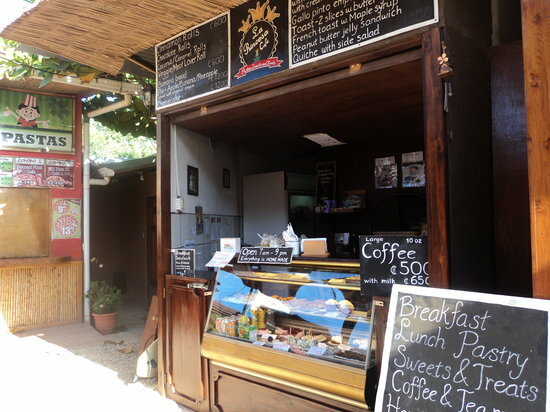 La Princesa Cafe is an excellent cafe located in the center of Tamarindo. It offers delicious dishes and beverages at affordable prices. The spot is perfect for breakfast, lunch, dinner. If you are around this area looking for delicious food or tasty drinks, there is no better place than this one. Take your partner or friends with you for an amazing time together. 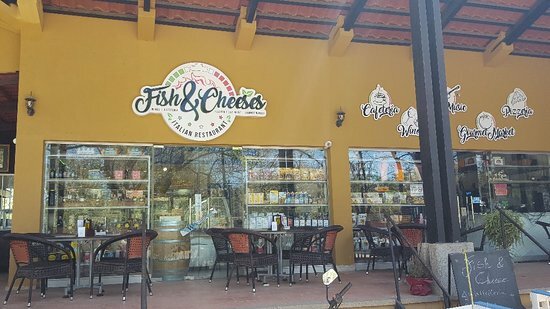 Fish & Cheeses Italian Restaurant is a little restaurant, based in Tamarindo, offering quality Italian foods at reasonable prices. 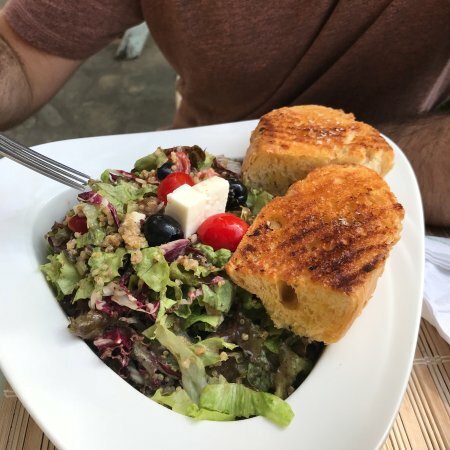 The locals and the travelers who have thus far visited the spot highly recommend it for its genuine, top-notch Italian food; they say that the quality of food even beats the foods in Italy. This is incredible yet worth believing given the Italian visitors dining at this very restaurant. 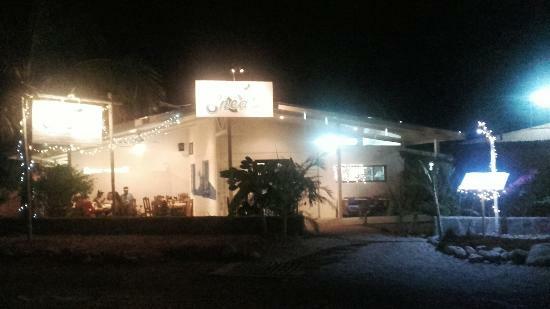 So, if you are around Tamarindo looking to enjoy this kind of food, this is the right spot for you. As usual, you do need to make a reservation for its popularity and size. Falafel Bar Medetirenean cusine is a small, beautiful restaurant, located away from the main road. It serves delicious dishes at cheap prices; the spot specializes in middle-eastern cuisine. 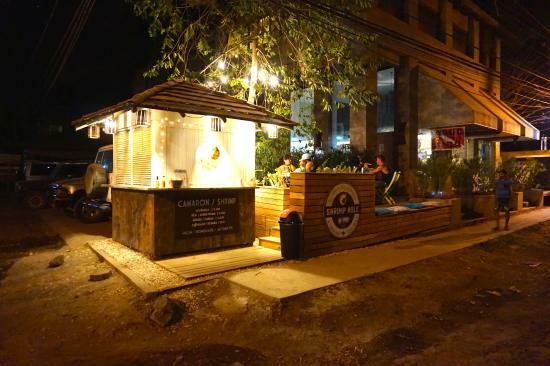 So, the travelers and the locals have the privilege of trying this type of food in Tamarindo, Costa Rica. Located near the pool at Jardin del Eden boutique hotel, La Plumeria provides the clients with quality meals at reasonable prices. Since it can hold many people, you can go with your family, partners, and friends for a memorable breakfast, lunch, and dinner. With the impeccable services, you are bound for a great time. Despite the unlikelihood of finding authentic Italian food in Costa Rica, Enea’s La Vera Cucina Italiana offers the best Italian dishes at affordable prices in Tamarindo. 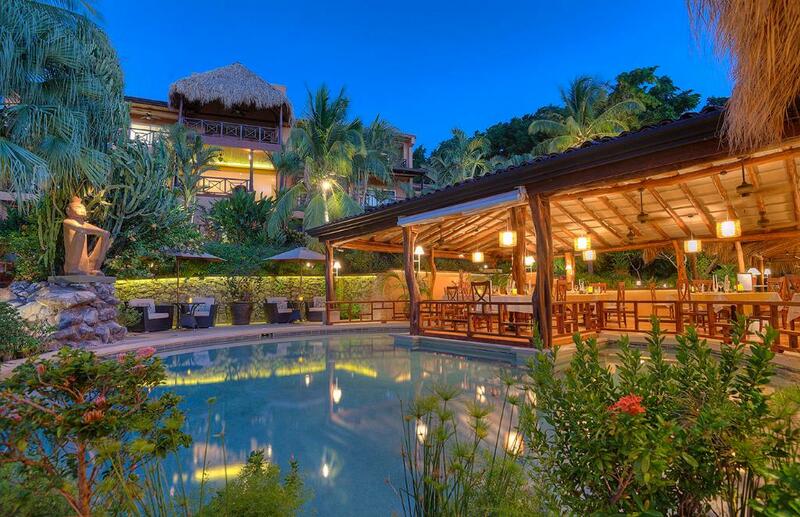 Then, your disbelief concerning the possibility of savoring Italian pizzas in Costa Rica has come to an end; this place has what it takes to provide you with the genuine Italian cuisine. If you are in this area, this is the right place for you. 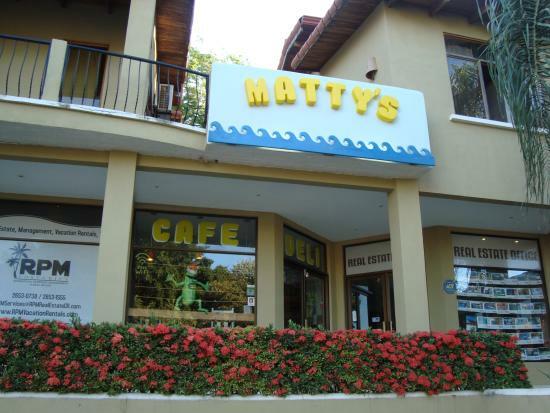 Matty’s DeliCafe is a small restaurant near the Langosta beach in Tamarindo. Though it’s located in a pricey town, the restaurant offers unbeatable dishes—breakfast and lunch—at affordable prices. So, the many locals and travelers who frequent this spot recommend it to other people. You, too, should not miss out on this place. 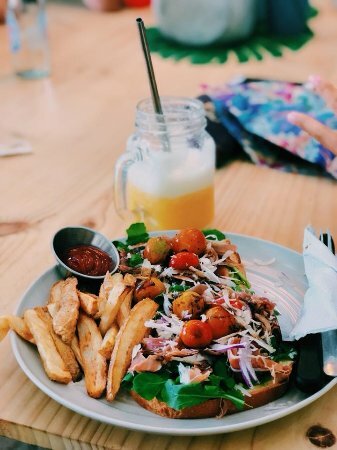 The menu comprises in Turkey sandwiches, bacon, smoothies, Belgian waffles, Asian Slaw, Greek quinoa salad, ahi tuna wrap, bread, and much more. All the foods are cooked with passion and presented very well. You might feel like trying them all. So, you should choose with care. The ahi tuna wrap comes loaded with fruits, both of which are fresh and yummy. The salads are fresh and generously served. You can either order the Greek quinoa salad or the chicken salad. They are flavorful. The bread is equally fresh and tasty; you can enjoy it either with coffee or smoothies. The owner is very friendly and attentive. When the clients arrive, he accommodates them with ease and does his best to provide them with anything they need. This includes bringing the menu, helping them choose their meals according to their taste, and bringing the food in a timely manner. He gets them the best dishes out of his spot; he always shows up at their tables to check if they are satisfied with their entrées. He, the owner, is also funny; he tells local stories to the clients while enjoying their meals. That’d be a great entertainment. 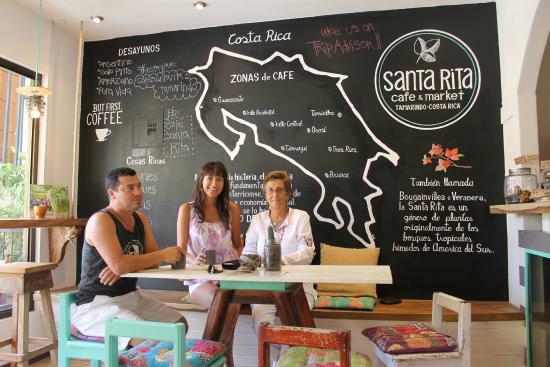 Santa Rita Cafe, as its name implies, is a great restaurant in the center of Tamarindo, specializing in beverages; it also offers unbeatable dishes for breakfast, lunch, and dinner. Those who find this spot are all delighted; they recommend it to others—they themselves keep returning for the delicacies offered. The menu offers breakfast burrito, yummy coffees, bread, seared tuna, peanut butter, sandwiches, smoothies, banana, salads, juices, avocado, veggies omelette, cheese toast, arugula, and much more. For breakfast, you can order coffee bomb accompanied with peanut butter. The banana is also tasty. For lunch, you can grab the chicken and sandwiches accompanied with fresh tuna. The tuna gets even yummier as it’s cooked in accordance with your preference; it is prepared with slivers of red onion coming with sun-dried tomatoes on top. Aside from the coffees, you can finish your meals with the baked goods and juices. The daily quiche is out of this world. The spot offers quality services. It’s one of the few restaurants that help you get the most out of your vacation. One of the contributing factors is the friendliness of the staff. They give warm welcome to every visitor popping up to Santa Rita Cafe. With them, you can feel at home as you can ask for anything and have it in no time. The staff blends American with Costa Rican cuisine to deliver flavorful beverages and meals to the travelers and the locals alike. And the prices are very affordable. 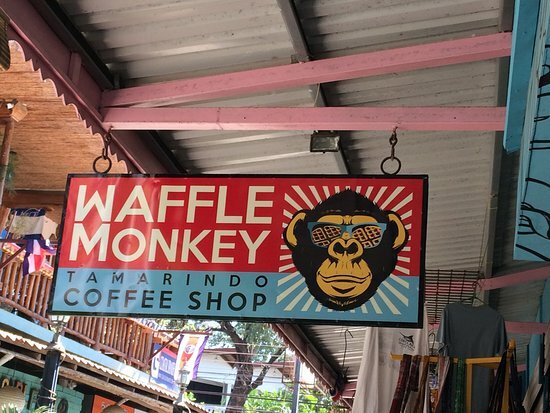 Waffle Monkey is a beautiful, beachfront restaurant, based in Tamarindo. As its name implies, this spot offers the best waffle in the area; it also has other delicious foods that you can’t afford to miss. Pay a visit to the spot and marvel at the surprises firsthand. 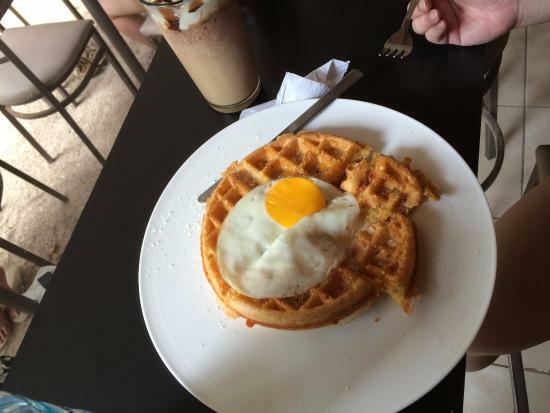 The menu has delicious dishes, such as waffle, ice-cream, eggs, bacon, honey, and more. The food is served in generous portions, which can easily be shared with your partner or friend. Even if you don’t like eating a waffle at home, you will love the dish from this restaurant. It is wonderfully prepared with eggs on the inside. That’s really delicious—you may be tempted to order more. While vegetarians can have their veggie waffle, non-vegetarians can order waffle accompanied with bacon, both of which are excellent. Aside from the flavorful dishes, you can get tasty beverages, such as smoothies, coffee, margaritas, and cocktails. Run by a happy family, the restaurant feels just like home. The staff is both welcoming and kind to the visitors. As visitors step in, they are warmly welcomed and guided onto their seats. Then, the waiters take orders and bring the food in a timely manner. The owner, an Aussie, always ensures the satisfaction of their visitors. They go an extra mile to serve you the best way they can. 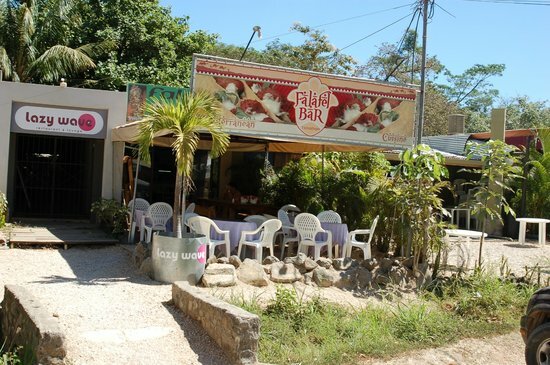 Shrimp Hole is a little restaurant, situated in Tamarindo, that excels in shrimps. Whether you visit the spot for breakfast, lunch or dinner, your needs will satisfactorily be met. For the amazing dishes, you’d better go early, as the spot may be full. The menu is small. 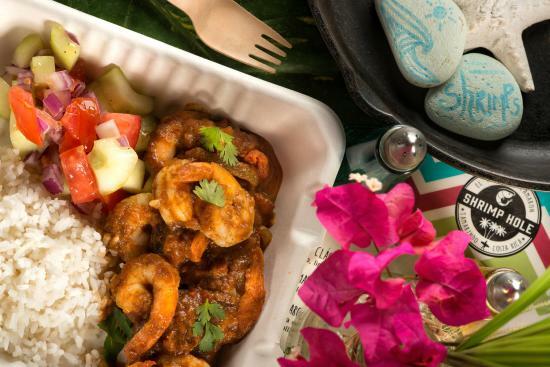 Yet, it has delicious dishes, such as shrimp curry, garlic shrimp, macaroni salad, rice, yucca chips in bun, sauce, shrimp burger, ginger lemonade, Thai salad, tzatziki, and more. Thanks to its great cuisine, the restaurant offers well-prepared foods. They all are out of this world. The restaurant has tasty starters and desserts. Shrimp burger is so tasty; you should not miss out on it. As you order garlic shrimp, your plate will come with rice as well as macaroni salad. With the tasty sauce, you can dip in any food you like. If you like salads, you can ask for the Thai salad. As for pasta, you can order macaroni pasta. They are very delicious. In addition to tasty foods, you can order yummy ginger lemonade, which comes with turtle straws; you can order passionfruit drinks. The staff is both friendly and attentive to the clients. Since the restaurant has a great connoisseur, the staff serves unbeatable foods; even their gluten-free food is not bland. This amazes the customers, and guarantees their return for more. Food and drinks are well priced; they all are affordable. Again, you should come early or make a reservation in advance, so that there is always room for you.